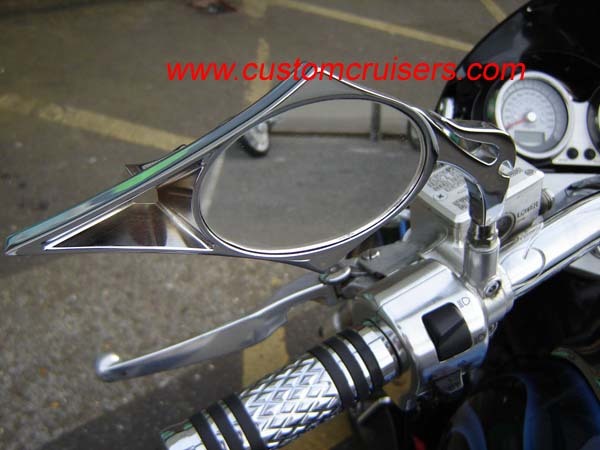 Brand New Awesome Looking Flamed style Motorcycle Mirrors. Beautifully finished in dazzling bright Chrome, adds a truly effective custom look. Protect your bike from stone chips, Great looks too! These are NEW AUTHENTIC DIE CUT Jesse James West Coast Choppers STAINLESS STEELAPPEARANCEstickers (1)12 ½ X 12 ½ (2) 6” X 6” (2) 3” X 3” INCLUDES THE JESSE JAMES POSTCARD!! !WEST COAST CHOPPERS Decal Set Chrome Jesse James postcard and Maltese cross logo stickers Decals were £29.95 a set!! now £9.99 ! !t hats 2/3 off - get em quick as limited stocks! !